I’ve made all sorts of hamantashen over the years. Cake dough. Cookie dough. Pie dough. With all sorts of fillings from old fashioned apricot, prune and poppy seed to nouveau halvah and chocolate mousse/chocolate chip. I’ve experimented with savory goat-cheese and chili fillings and also barbecued brisket. I even created a recipe for lamb-in-phyllo hamantashen with lemon-tahini sauce. That recipe won an award in a contest sponsored by Soom Foods. But, to be honest, I like traditional, sweet, mostly apricot or prune hamantashen the best. 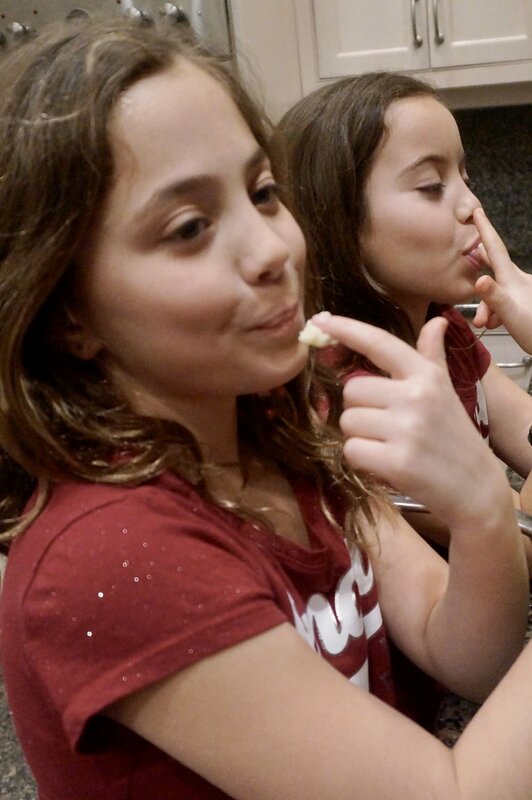 And this year I read about frozen-dough hamantashen in a post by Melissa Wilkenfeld whose blog, Little Kosher Lunch features kosher lunch-box meals for school kids (I also follow her on Instagram). So I used her recipe to bake a pile of hamantashen, which were so good it hurt to give any away. But I actually always give food away to my usual “tasters” — all of whom gave high marks to these. I don’t have enough left for Purim so I will have to make some more. Which I will, because these are awesome. I asked Melissa for permission to post her recipe. She agreed, also telling me she got the recipe from a friend (Patti Golden). So, ladies, thank you both for this recipe. A keeper. I’ve changed the language to conform to the way I write recipes, but otherwise, it is yours. Mazal tov. Beat cream cheese, butter and salt in an electric mixer set at medium speed for 3-4 minutes or until smooth and thoroughly blended (or in the food processor with the plastic blade attachment). Gradually mix in the flour on low speed until the dough is a uniform color and pulls together into a ball. Form dough into 4 balls, wrap in plastic wrap and refrigerate until firm, about 3 or 4 hours, or overnight. Remove one ball of dough and roll out on a floured surface until thin, about 1/8 inch thick. Cut out circles with a cookie cutter (or use the floured rim of a drinking glass or jam jar). Place about one teaspoon of lekvar or jam in the center of each round. Moisten the edge of the circle with milk, water or egg white. Fold up three edges of the circle to form a triangular base, pinching at the corners to secure. Place the filled hamantashen on an ungreased cookie sheet. Reroll scraps of dough to make more hamantashen. Repeat with all balls of dough. Refrigerate the hamentaschen until ready to bake, at least 30 minutes after shaping. Bake for 25-30 minutes or until delicately browned. 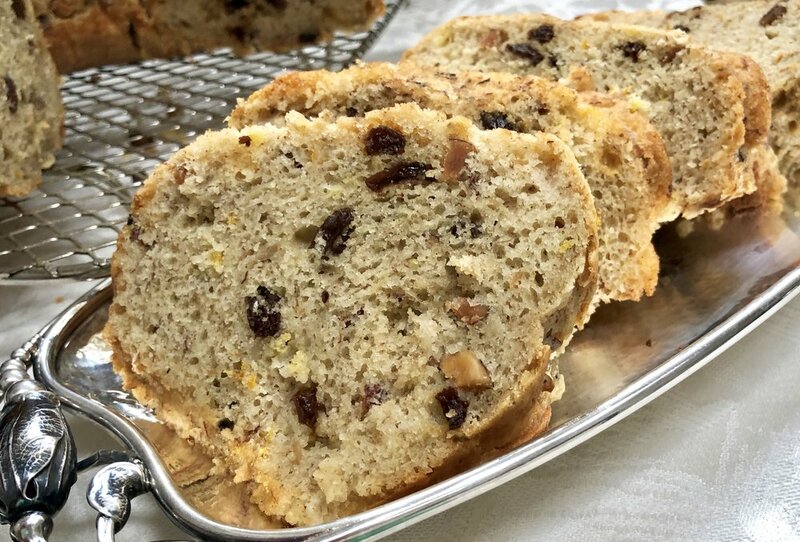 Whenever I bake with raisins and almonds, I am reminded of the old Yiddish lullaby “Roshinkes mit Mandlen,” sung by so many Jewish bubbes to so many babies over so many decades. It’s a lovely song about a goat going to market while an infant sleeps in his young mother’s arms. I remember my parents playing a recording of it sung by Jan Peerce, who at one time was a famous opera tenor. The lullabye is so enchanting, I once made a challah-type yeast bread that included raisins and almonds (in Germany it is known as Hefezopf) and called it Lullabye Bread. But the other day I had too many bananas. Again. And so I made banana bread with roshinkes und mandlen. Perfect any time you need a lightly sweet snack. Fitting for Tu B’shevat (which begins at sunset on January 20, 2019). If you’d like to hear the one and only Jan Peerce singing the lullaby, click here. Preheat the oven to 350 degrees. Grease and flour a (10-inch) 8-cup bundt pan. Mix the flour, salt, baking powder, baking soda, cinnamon and orange peel together in a bowl and set aside. In the bowl of an electric mixer beat the eggs and sugar at medium speed until thoroughly combined and thick. Add the vegetable oil and vanilla extract and beat the ingredients until thoroughly combined. Add the bananas and buttermilk and beat the ingredients until thoroughly combined. Fold in the raisins and almonds. Pour the batter into the prepared pan and bake for about one hour or until a cake tester inserted into the center comes out clean. Remove from the oven and let cool in the pan for 10 minutes. Remove to a cake rack to cool completely. In my last post I mentioned that my New Year’s get-together is an all-day, all-hors d’oeuvre event. A dairy fest and, several hours later, a meat-fest followed, several hours later by dessert. Some of the tidbits I serve are homemade, some not, some fancy, others plain, some elaborate, some easy. This one is amazingly easy and you can to make it ahead, in fact, you have to make it ahead. It’s refreshing, looks pretty and fits in perfectly with some of the other stuff I’m thinking of serving: Herbed Feta Cheese with Sundried Tomatoes and Olives, Smoked Salmon and Asparagus Rollups, Herb and Cheese Gougeres (Choux Puffs), Fresh Tomato Puff Pastry Pizzas. Place a double layer of cheesecloth in a strainer. Spoon the yogurt into the lined strainer and set it over a bowl. Let rest in the refrigerator for 4 hours. Place the yogurt in a bowl (discard the liquid that has accumulated in the bowl). Peel the cucumbers and cut them in half lengthwise. Scoop and discard the seeds. Grate the cucumber in a food processor or by hand. Strain the cucumber through a sieve, pressing down to extract as much liquid as possible. When the yogurt is ready, stir in the cucumbers, garlic, mint, dill, salt, lemon juice and olive oil. Stir to blend all the ingredients thoroughly. Makes about 4 cups, serving 10-12 people. 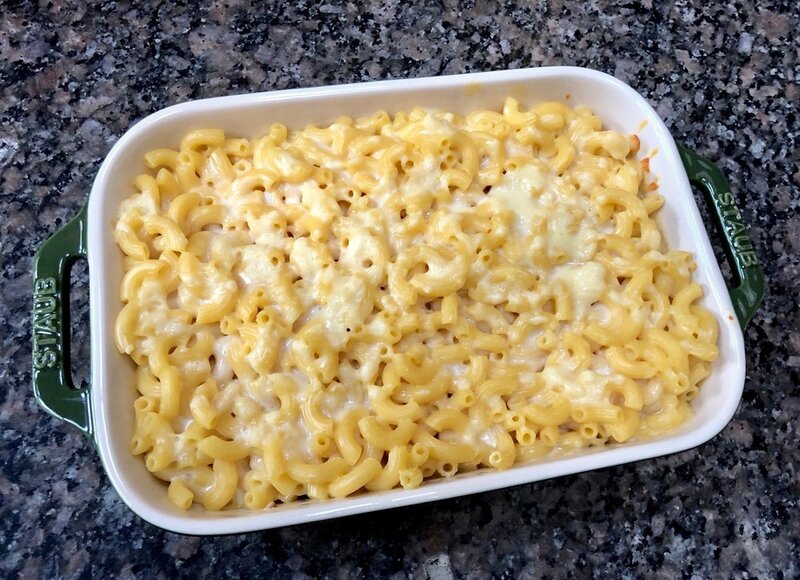 All of my grandchildren think that I make the absolute most wonderful, bestest, most delicious mac and cheese. And they expect at least one mac and cheese dinner when they come for a visit. No worries. I always have one in my freezer, just in case there is ever a surprise knock on my door from one of them. Of course I thought my grandma made the best mac and cheese too. Hers came out of a box and the cheese part were some granules that came in a separate foil package. She was supposed to mix the granules with milk and butter I think, but she never did. She just opened the package and sprinkled it on top of the cooked elbows. That's the way all of us grandchildren thought mac and cheese was supposed to taste. And of course, grandma made it best. It's the way I made it for my kids. Because that was the best. Somewhere along the way I tasted actual homemade macaroni and cheese. It was a revelation. It was wonderful. Which is NOT to say that grandma's wasn't good. It was just a whole different dish. I still think of it with fond memories. My daughters think of it with fond memories. And, btw, they also made the packaged kind and sprinkled the dry cheesy granules on top for their children. And their children love that too and probably will have fond memories of that dish. But when they come to visit me, it's the other kind they expect and love. The from-scratch kind. They're also pretty clear about how they like it too: moist but not overly sauced, with a combo of American and cheddar cheeses and a crispy top. No added things like tomato or cooked vegetables. No crust -- just maybe some extra grated cheese. Cook the pasta according to package directions, rinse under cold water, drain and set aside. In a saucepan, melt the butter over medium heat. When the butter has melted and looks foamy, turn the heat to low-medium, add the flour and cook, stirring with a whisk, for 2-3 minutes, but do not let the mixture become brown. Gradually add the milk, stirring with a whisk to keep the sauce smooth. Cook for 4-5 minutes or until the sauce has thickened slightly. Add most of the cheeses, leaving some to top the dish as garnish. Add some salt and continue to whisk the sauce until all the cheese has melted. Add the pasta and mix to coat all the pieces. Eat as is, sprinkled with extra cheese, OR place in a preheated 350 degree oven for about 15 minutes to crisp the top. Even though it happens every year, somehow I am always sort of surprised that the Jewish holidays come in such a jumble. We celebrate one holiday on top of another and are busier than ever, observing and celebrating. Not to mention — LOTS of food. I don't want to even count the calories. And there's still Sukkot to come. This year I didn't make my usual Plum Torte for Rosh Hashanah. I needed a change of some of my menu items. But I still can't resist those once a year Italian-style prune plums (President/Empress plums), so I decided to use them for this Plum Streusel Cake. It turned out to be one of my favorites during the holiday. If you are still looking for a fabulous dessert for Sukkot -- try this one. Btw, you can make this with any variety of plum. But plum season is almost over, so do take advantage while you can. Melt the butter and set it aside to cool. Place the sugar, brown sugar, flour, cinnamon and nutmeg in a bowl and mix until well blended. Pour in the butter and blend it in. Let stand for 4-5 minutes, then crumble the mixture using your fingers. Set aside. Preheat the oven to 350 degrees. Make the streusel and set it aside. Lightly grease a 9-inch springform pan. Melt the butter and set it aside to cool. Combine the flour, sugar, baking powder, baking soda, salt and lemon peel in the bowl of an electric mixer. In another bowl, combine the eggs, milk and melted butter. Pour the liquid ingredients into the dry ones and stir only to combine: do not overbeat. Turn the batter into the prepared cake pan. Top with the plum slices. Cover with the streusel. Bake for about 45 minutes or until a cake tester inserted into the center comes out clean. Let cool in the pan for 15 minutes. Remove the outer ring from the pan and let the cake cool completely. At the end of every September I buy a bushel of Rhode Island Greening apples and bake at least a dozen pies over the course of a few days. It's a ritual for me, as constant as making mujadarah for my annual break-the-fast or makfrying latkes on Hanukkah. But right now, it's the height of stone-fruit season and I bought so many peaches and nectarines! Way too many to have just as a snack. So of course I could make pies. But I don't feel like baking pies. I might make a crisp or two. Or maybe some chutney or barbecue sauce. Maybe make a roasted dessert or soaked fruit for weekend company. Or maybe a pie-like but much easier galette. Yep, that's it! For the crust: mix the flour, sugar, salt and lemon peel together in a bowl or food processor. Add the butter and shortening and cut the fat into the flour mixture with your hands or a pastry blender or by processing on pulse until the mixture looks like coarse crumbs. Add 5 tablespoons milk and mix to form a soft dough. Flatten the dough into a disk, wrap and let rest in the refrigerator for at least one hour. Preheat the oven to 400 degrees. Line a large baking sheet with parchment paper. Roll the dough on a lightly floured board into a circle about 14-inches in diameter (about 1/8-inch thick) and transfer the circle to the prepared baking sheet. For the filling: slice the fruit into a large bowl. Add 6 tablespoons of the sugar, salt, lemon juice and flour and toss the ingredients to completely coat the fruit. 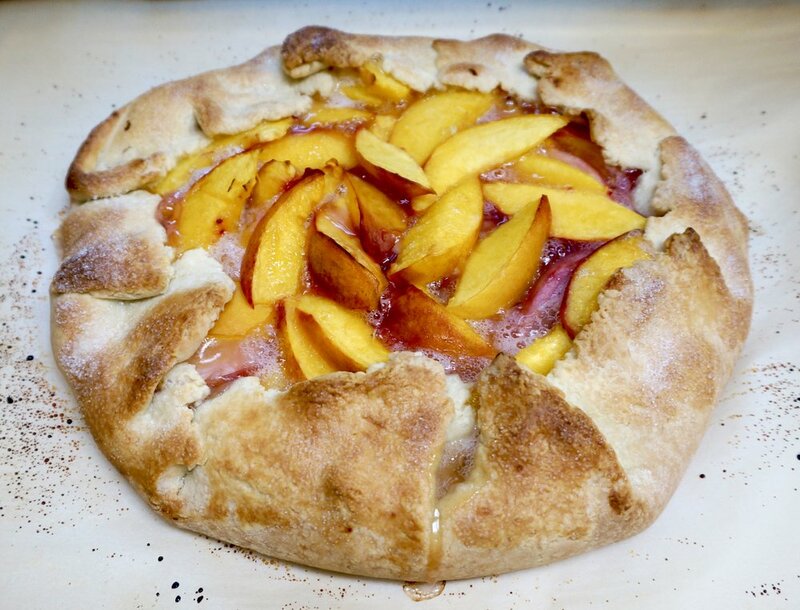 Place the fruit on top of the dough circle, leaving a border of about 1-1/2-inches. Fold the dough over the fruit but not completely; leave a circle of fruit showing, about 7-8-inches. Pleat the dough to give it a rustic look. Brush the dough with the remaining tablespoon milk. Sprinkle with the remaining 2 teaspoons sugar. Bake for 35-40 minutes or until the crust is golden brown. Let cool for at least 15 minutes. Best when served warm. The strawberries are fabulous right now -- the local ones anyway. They're sweet, juicy and fragrant. They're small to medium rather than gigantic -- like the year-round supermarket staples, which are dry, tasteless and smell like plastic. The strawberries you can buy now are the kind I remember strawberries from long ago, (especially the ones I picked right off the plants in my parents' garden). 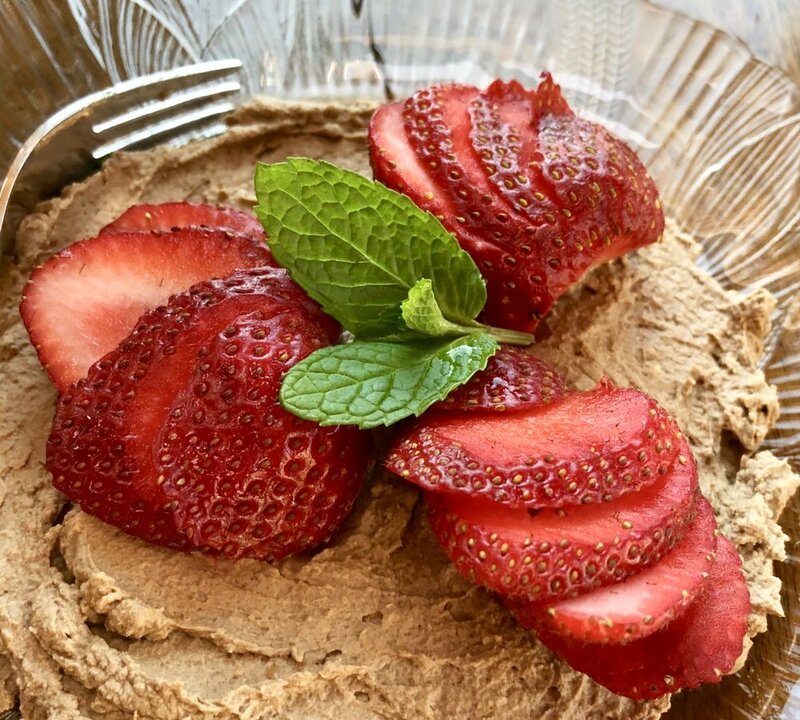 If you are lucky enough to get good, seasonal strawberries, try this recipe. I call it Strawberry Shortcake without Cake because the whipped cream mixture, which is made with mascarpone cheese, is thick, almost like a really moist cake, and yet it is sort of like whipped cream. Remember this recipe next Passover. Or Valentine's Day. Or July 4th for that matter! Make the cream part ahead and top it with berries just before you serve it. Lovely with coffee or tea and also an after dinner drink (brandy and so on). Wash and dry the berries and remove the hulls. Make incisions into each berry as if to cut slices but do not slice through. Set aside. Whip the cream and mascarpone cheese with the sugar and orange peel until the mixture is thick. Fold in the Balsamic vinegar. Spoon equal amounts of the cheese mixture onto 4-6 dessert plates. Place sliced strawberries on top, gently moving the “almost” slices to fan them slightly.